Dr. Middleton and his team specialize in beautifying smiles, maintaining your dental health, and helping you improve your appearance. 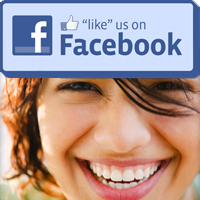 We take great pride in keeping your smile beautiful, and our first concern is for your dental health. We do everything we can to save your orignal teeth, but when that isn't practical, Dr. Middleton gives you the most advanced and state of the art treatment. He is an implant specialist and expert in treating TMJ. If you are interested in enhancing your dental appearance, our team can help you whiten and brighten your teeth through bleaching, veneers or bonding. We are currently accepting new patients.